Obituary for Ann Roznovsky Koci | Lumberton Family Funeral Home, LLC. Ann Roznovsky Koci, 99, of Orange, TX went home to her be with her Lord on Saturday, September 1, 2018. Ann was born Wednesday, July 23, 1919 to her loving parents Joe and Mary Roznovsky in Granger, TX. Growing up as one of 14 children, Ann’s childhood was full of fond memories with her siblings. Ann moved to Orange, TX in 1952 with her late husband, Eugene Koci, where she quickly became involved in her local community. 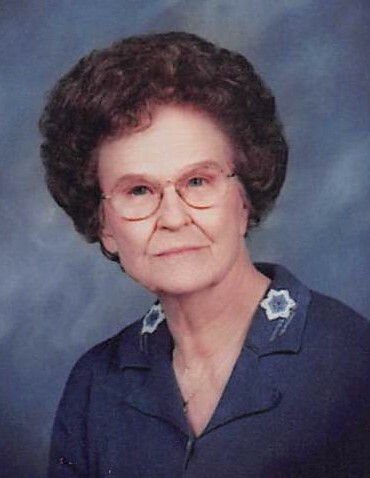 Whether it was her activities as a life member of VFW Auxiliary 2775- Orange, TX, her proud involvement as a member of SPJST, or her service with St. Mary’s Altar Society; Ann could always be found out actively engaging in her community. Ann was a devout member of St. Mary’s Catholic Church in Orange, TX since 1952 and proudly retired from Weingarten Food Store where she worked many years as a meat wrapper. Devoted wife, beloved mother, grandmother, great-grandmother, and friend- Ann impacted many people over the course of her long life and will be greatly missed. Ann Roznovsky Koci joins her beloved husband, Eugene Koci; her parents; and 12 of her siblings rejoicing in Heaven. Left to cherish Ann’s legacy of love is her son Gene William Koci and wife Celia of Lumberton, TX; her daughter Shirley Ann Pappas and husband Jimmy of Calhoun, LA; her sister Frances Martink of Austin, TX; her grandchildren, Gregory Koci and wife Kay of Katy, TX, Donna Koci of Katy, TX, James Pappas and wife Lisa of Calhoun, LA, and Scott Perry and wife Colleen of Orange, TX; her great-grandchildren, Allicyn Adams and husband Craig of Katy, TX, Kristin Koci of Utah, Savannah and Madelin Pappas of Calhoun, LA, and Gavin and Devin Perry of Orange, TX; her step-grandchildren, Joel Kennedy and wife Joni of Missouri City, TX, Boyd Kennedy and wife Sally of Lake Charles, LA, and Lori Smith and husband Chuck of Houston, TX; her step-great grandchildren, Kaley and Kade Kennedy of Missouri City, TX, Michael Kennedy of Thibodeaux, LA, and Meghann and Marcus Kennedy of Louisiana; her numerous nieces and nephews; and many fellow church members and friends. The family would like to offer a special thanks to Barbara Murray- Ann’s longtime caregiver- and Carol Campbell of Kindred Hospice for their devoted and loving care of Ann. In lieu of flowers, the family is requesting donations to the Alzheimer’s Foundation Research Fund. The family will receive friends and family from 5:00 p.m. to 7:00 p.m. on Wednesday, September 5, 2018 at Lumberton Family Funeral Home in Lumberton, TX for a time of visitation. A Rosary will be held at 9:30 a.m. followed by a Funeral Mass at 10 a.m. on Thursday, September 6, 2018 at St. Mary’s Catholic Church in Orange, TX with interment to follow immediately after at St. Mary’s Cemetery in Orange, TX. Lumberton Family Funeral Home, LLC. | 766 S. Main St.